The Bicycle Association of Great Britain is the national body representing the bicycle industry in the United Kingdom. Their members include cycle and accessory manufacturers, distributors and retailers, as well as related service providers such as insurance companies, trade media and more. 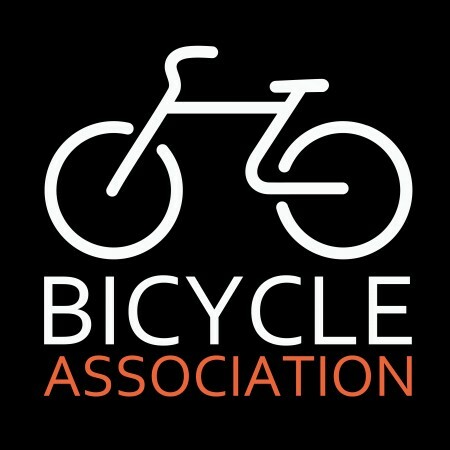 The Bicycle Association can trace its history back to 1890 when the Cycle and Motorcycle Trades Association was established in Coventry. A POWERFUL VOICE The BA provides the industry with a powerful collective voice to promote the interests of their members with government and to lobby for policies and funding which benefit cycling. TECHNICAL & COMPLIANCE SUPPORT - They provide a peerless technical and compliance advice service, helping members achieve the highest levels of product safety and business professionalism. MARKET INTELLIGENCE The BA produces for members the most detailed analysis of import and export data available, and works constantly to deliver new data and insights to members. SECURING THE FUTURE OF CYCLING The BA co-ordinates the Bicycle Industry Fund, successor to the industry-backed Bike Hub scheme which has invested over £4m in cycling projects.